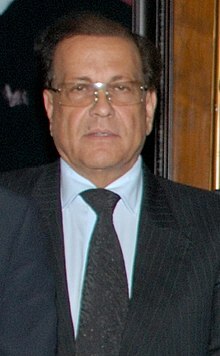 ^ Salmaan Taseer. The Governor House Lahore, Punjab. 29 February 2016. （原始内容存档于2011年1月8日）. ^ Maqbool, Aleem. Taseer's death exposes fissures in Pakistani society. BBC News. 2011-01-05 [2017-01-03] （英国英语）. ^ Taseer to take Aasia’s clemency appeal to president - The Express Tribune. The Express Tribune. 2010-11-21 [2017-01-03] （美国英语）. ^ Boone, Jon; Baloch, Kiyya. Asia Bibi blasphemy case to be heard by Pakistan supreme court. The Guardian. 2016-10-11 [2017-01-03]. ISSN 0261-3077 （英国英语）. ^ Haider, Zeeshan; Georgy, Michael. Pakistan's Punjab province governor shot dead. Reuters. 4 January 2011 [4 January 2011]. ^ Khan, M. Ilyas. Shahbaz Taseer: Why was murdered Pakistan governor's son released?. BBC News. 2016-03-09 [2017-01-03] （英国英语）. ^ “The day Salman Taseer fell silent”. Dawn. 04-01-2018.